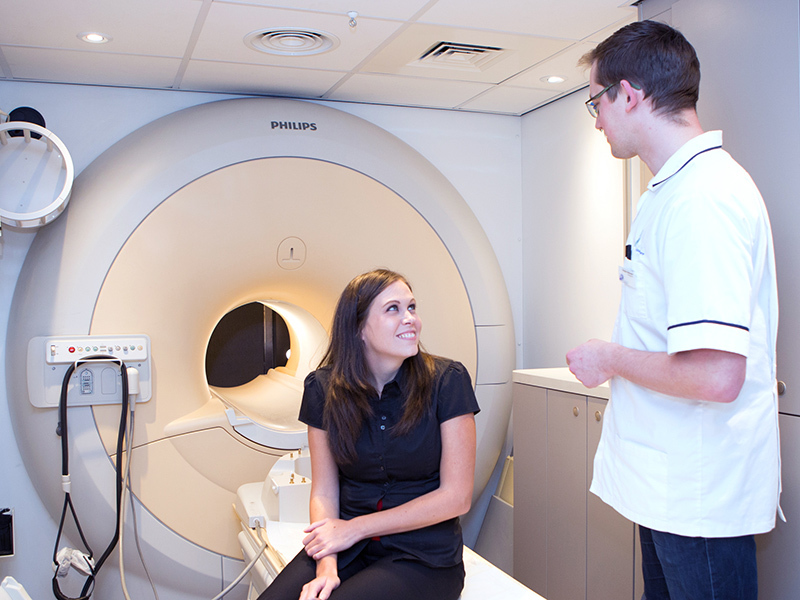 MRI/CT Scan - Diagnostic Healthcare Ltd.
You will be positioned on the moveable examination table. Straps may be used to help you stay still and maintain the correct position during imaging. Small devices that contain coils capable of sending and receiving radio waves may be placed around or adjacent to the area of the body being studied. If a contrast material is used in the MRI exam, a radiographer will insert an intravenous line (IV) into a vein in your hand or arm. A saline solution may be used and the solution will drip through the IV to prevent blockage of the IV line until the contrast material is injected. This helps to enhance the images usually in parts of the body which has poor natural contrast. You’ll be given ear phones with music or ear plugs to wear because of the scanner noise, and an emergency bell if you need to call the radiographer during procedure. You do not need to fast or follow a special diet unless specified. MRI scanners use powerful magnetic fields. 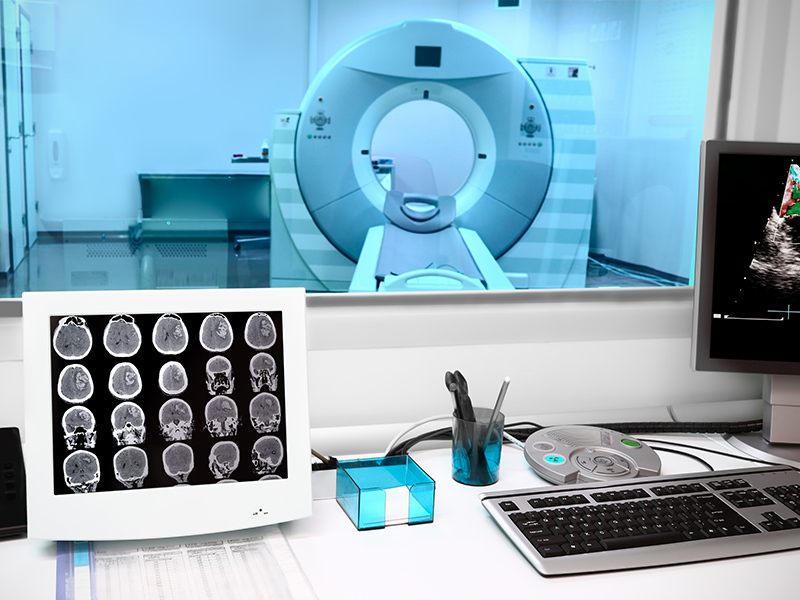 Metal items can distort MRI images and may be a safety hazard if they become attracted to the magnetic field, so before your scan you must remove all external metallic and electronic items. This includes items such as watches, jewellery, hairpins, keys, coins, mobile phones and make-up such as mascara or eyeliner which may contain certain metal products. You should also remove any hair pieces with clips or wigs, dentures, make-up, spectacles and hearing aids you are wearing. All piercings must be removed. You should wear clothing without metal zips, fasteners, buttons, belts or buckles. If you are having a head or neck examination, please have dry, clean hair and wear no hair products.